Pininfarina Home Design embodies Pininfarina’s vision of interior space, which takes tangible form in a furniture collection and proposals for the different rooms of a home, combined with Pininfarina’s capacity to design architectural interiors characterised by a unique, sophisticated and innovative style. 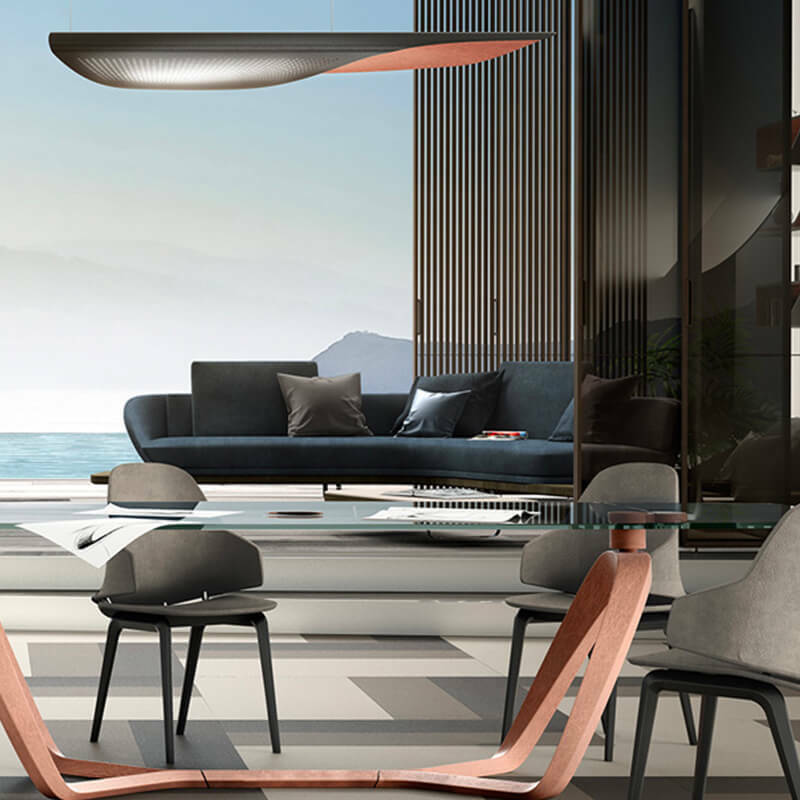 Pininfarina Home Design represents a journey in exploring new scenarios. A journey into the Home Space in which we have combined, for the first time, our heritage in furniture design with our innovative style in architecture and interiors. 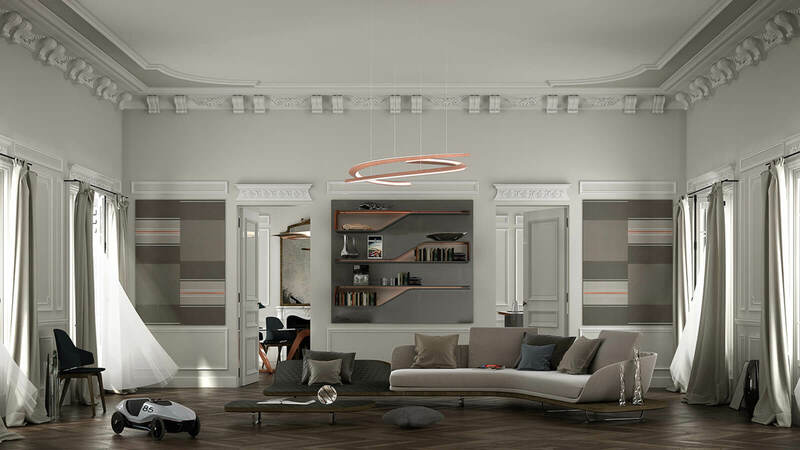 To imagine and realize solutions for interiors with a unique and distinctive character, in which the design of the space naturally marries the personality of the furniture. To give life to experiences in which form and function are integrated. To give shape to spaces conceived for a contemporary lifestyle. A journey made of design, innovation, custom-tailoring, luxury, Italian style. A journey to raise emotion and to create value for our international partners. Flexi embodies a new concept of door: it is the first ever flexible door, the standard bearer of the purest essentiality. 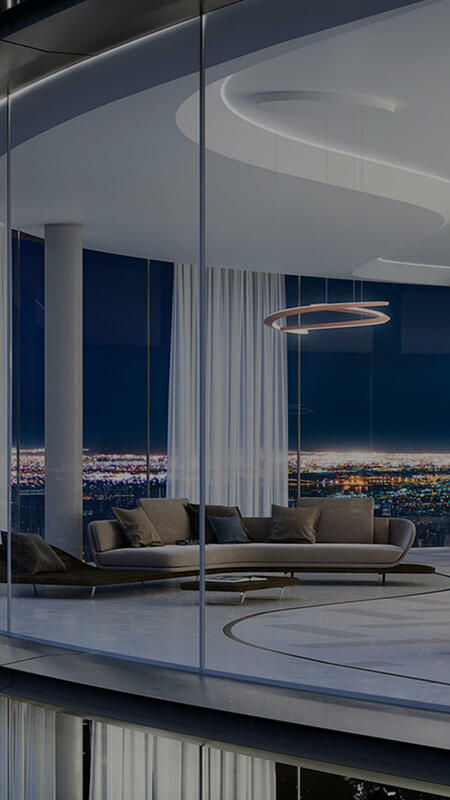 A trailblazing project that combines the extensive experience acquired by Res in the design of interior doors with Pininfarina’s elegance and unmistakable style. Putting a prize on integration and flexibility, this innovative product is destined to change the very notion of door. By making use of an unprecedented technology, Wood-Skin®Inside, the product gets rid of the hinges and takes shape as an uninterrupted surface. Innovation is the keyword: the body of the door becomes one with the jambs, generating a highly integrated system, made possible by a special milling technique that gives panels the ability to bend. With this process,rigid materials get a new life, as their form evolves from flat to three-dimensional, like an origami. 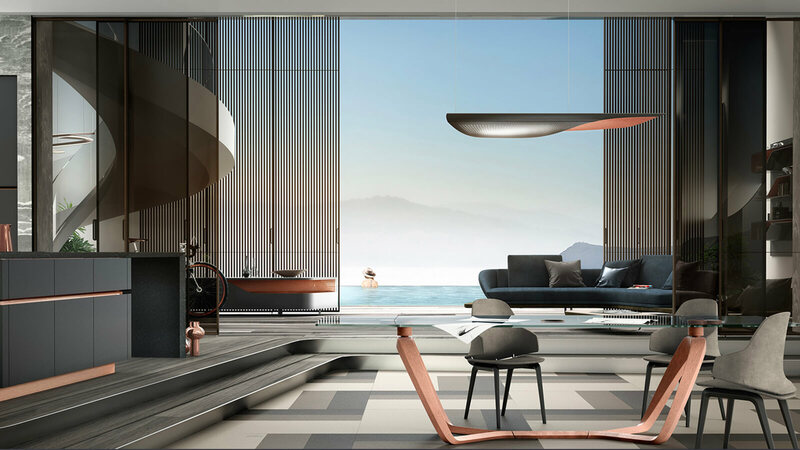 Flexi explores new horizons for interior door design with all the elegance, the purity and innovative contents that come with Pininfarina’sdistinctive design. 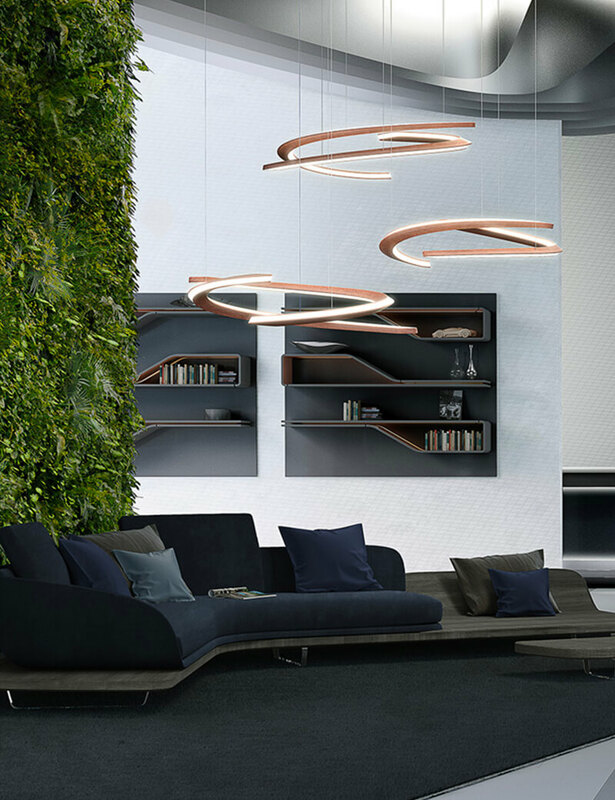 For the first time at Milan’s FuoriSalone, with a fully dedicated event, Morfeus presents Fluxair, a collection styled by Pininfarina that makes use of high-tech systems to ensure a good night’s sleep and superior wellbeing. This is the first collection to benefit from the technology of the materials of which the mattresses are made to keep the cell regeneration process active throughout the sleeping period, help neutralise the oxidising action of free radicals, thereby slowing cellular ageing, stabilise the temperature of the body, and improve circulation with an effective cardio-vascular preventive action. The Segno bed is comprised of two independent structures: suspended on the horizontal shell that houses the mattressis a vertical element that serves as headboard, slightly enveloping at either end. Painstaking selection of the upholstery materials – dark brown leather for the exterior and fabric for the interior – emphasises the contrast between the surfaces. Metal feet, of essential design, tend to disappear in the volume of the structure. Unmistakable is the reference to the design of car bodies: the exterior, with a plastic effect, communicates protection, while the interior, with a softer feel, gets across an impression of comfort and welcoming.